Everyone is welcome at The Vine! ​WHAT SHOULD YOU EXPECT WHEN COMING TO THE VINE? Enjoy Hospitality – Goodies, coffee, and all kinds of yummy stuff at our Vine Refreshments Table. It’s completely free… just like God’s grace. Dress Comfortably – Come as you are. You won’t feel out of place. Casual Atmosphere – A warm, welcoming place designed to build community. Serious Faith – We take God seriously, but we don’t take ourselves too seriously. Ancient-Future Worship – We keep the good from the past (ancient), while providing relevant messages and uplifting music (future). Bring the Kids – Children’s Church is offered every Sunday as a safe and fun ministry designed just for kids. There is also a staffed nursery and child care room. And we also have “Quiet Bags” for kids who want to stay with their parents in church. Relax – You will see other people just like you at The Vine. We’re all getting guidance for our lives and learning how much God loves us through Christ. 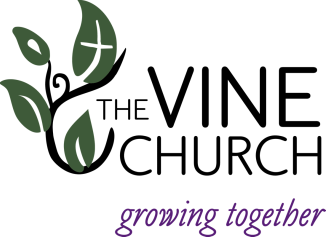 Membership classes are for those who are interested in becoming members of The Vine and learning what the Lutheran Church is all about.